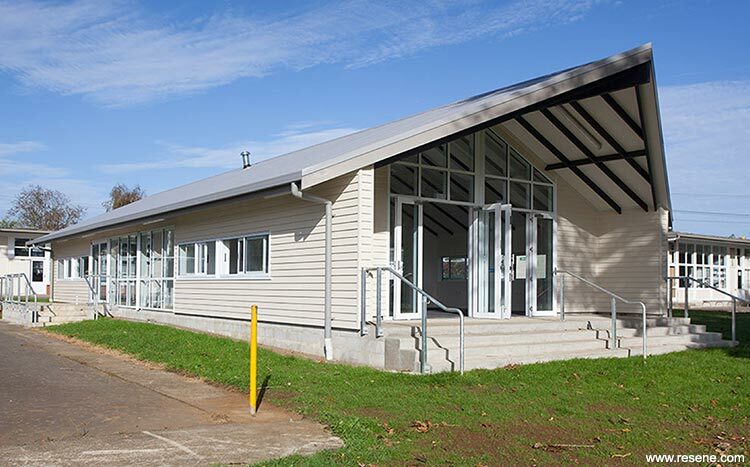 Stephenson & Turner (S&T) was engaged by Greenstone Group to design a replacement Library building for the Ministry of Education (MOE) at Pukekohe North. A new location was proposed for the library in order to allow views to the adjacent field and to be easier to access from the existing administration building. 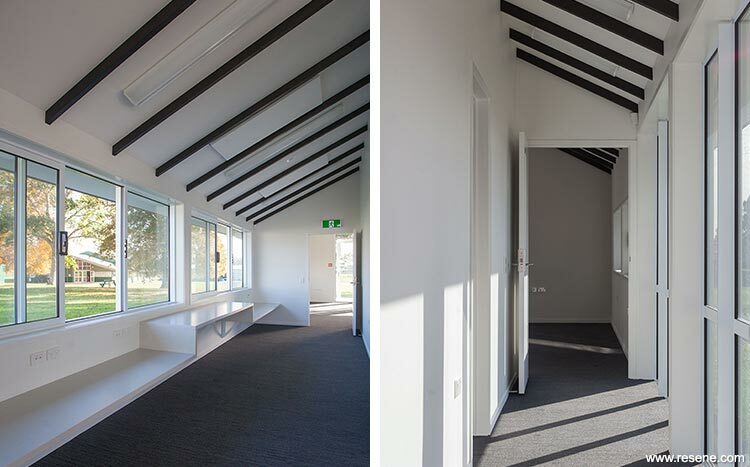 Creating an open plan environment which invites everyone to use it, and in effect, learn from it. Creating a sense of pride within the community, largely of Maori descent. Creating a building which fits in with its surroundings and the culture of the people. The idea was to create one unified space which would allow for separate activities, all to run concurrently. This has been achieved by means of a central hub, housing all of the facilities. The wide connections around the hub allows for additional breakout/reading areas & achieves an easy flow within the building. 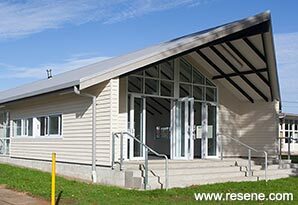 S&T created a Whare Nui (meeting house) which will get used by both pupils and members of the community. The building blends in with the rest of the buildings on site by depicting the same materials and colours. As part of the base build it was proposed to have the Maihi (diagonal bargeboards/arms), Heke (rafters/ribs) and Tahuhu (ridge beam/backbone) all in solid timber. The Tahuhu is a large supporting member (painted black) to represent the strength of the building. It was part of the brief to match the new building with existing buildings and colours on site, so external colours was chosen on this basis. 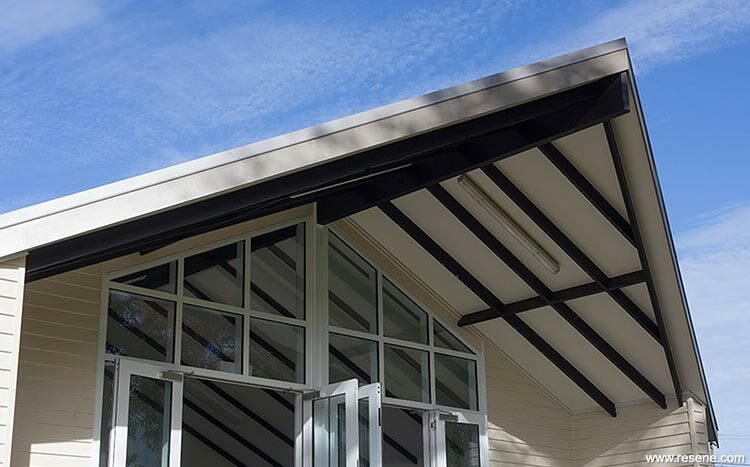 The rafters are finished in Resene Black, diluted by one third with water and applied with a cloth, with Resene Black White on internal walls and Resene Half Black White on soffit and ceiling areas. All colours are muted, but it forms a silent strength when inside as light streams in from all directions.